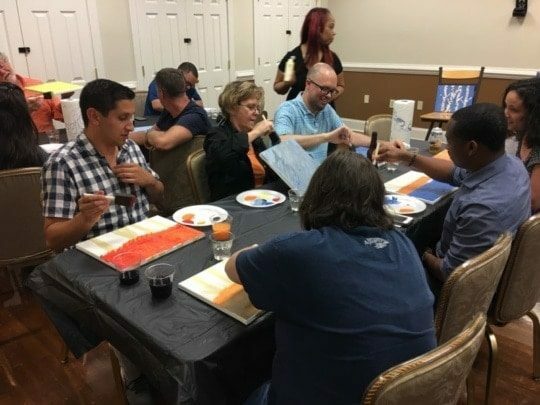 North Carolina ERP Consultants Enjoy Paint Night - Encompass Solutions, Inc.
There’s never a dull moment when you spend a night out with the Encompass team. 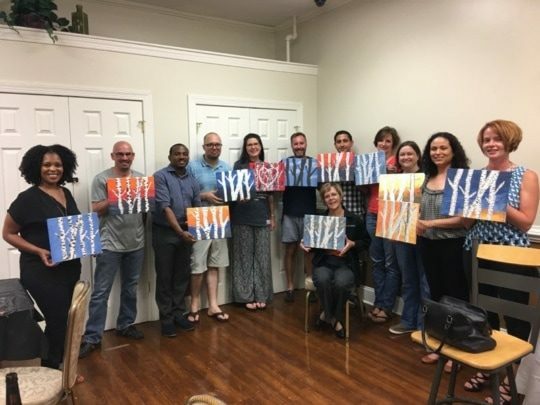 Last night, Encompass Solutions’ ERP consultants, business analysts, and IT support professionals had a field trip. 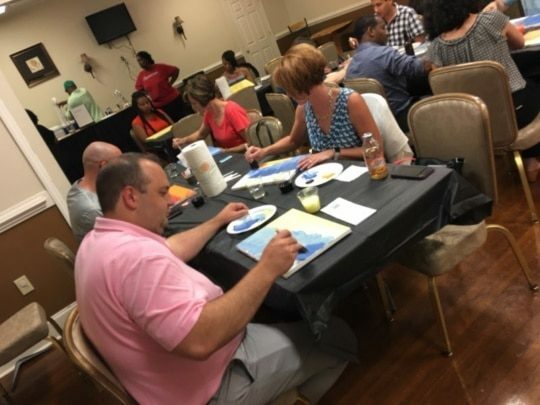 We went to Sip and Stroke in Greensboro, NC for a paint night and had an amazing time. There was no shortage of smiles and laughter. However, there were a few furrowed brows during the event. Our ERP consultants, sales staff, and IT support team demand perfection of themselves. That’s why we’re so proud to have them as part of the Encompass family. Every one of them is knowledgeable, dependable, and a joy to be around. 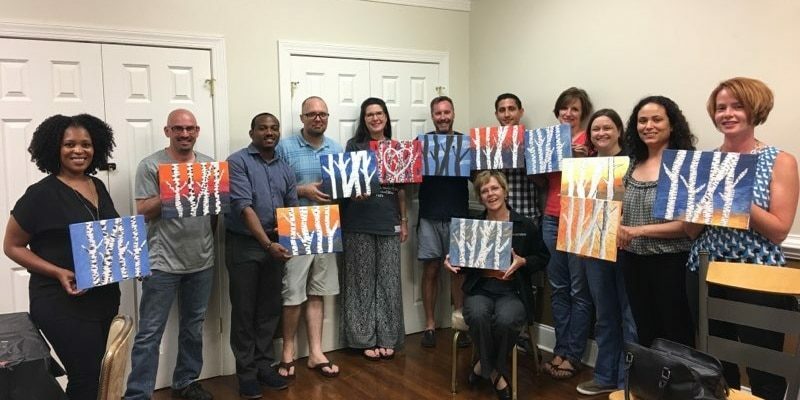 Here’s looking forward to the next outing with these awesome individuals that make up Encompass Solutions, inc.
Our North Carolina ERP consultants, North Carolina ERP consultants, Georgia ERP consultants, and New York ERP consultants came together for a great a great time. 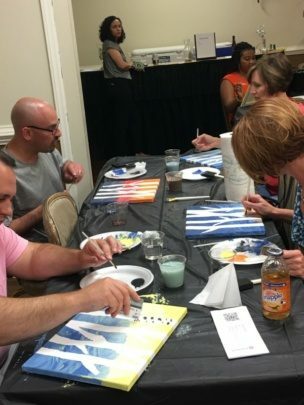 Our talented team showcased their artistic sides with precision and impressive detail. 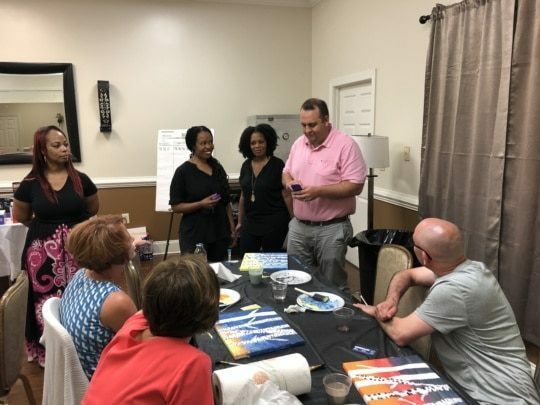 Everyone took the time to create a brilliant interpretation of the event’s subject and we’re proud to have several of their works on display here at the Encompass Solutions, Inc Greensboro, NC offices. Our team of ERP professionals never cease to amaze us and we’re sure you’ll agree that they are never short of surprises when it comes to tackling the challenges our customers face. If you’re in the Piedmont-Triad area of North Carolina, stop in our offices to have a look at the great artwork up close. Our staff is always happy to shake hands and learn more about our customers and the community. Joe couldn’t help having an educational moment with a bit of help from Google. 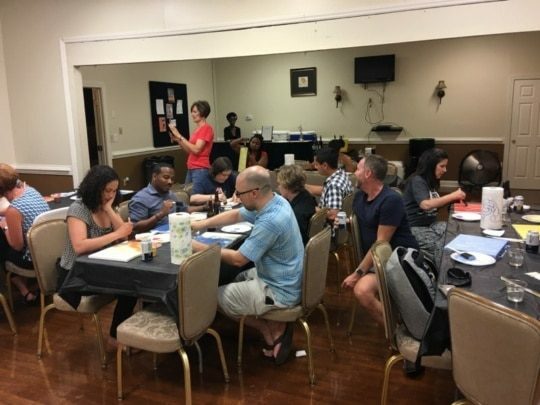 All of our Rembrants hard at work. Except for Dave and Sherri. Joe has a great sense of design along with first-rate execution. Even out of the office the Greensboro crew insists on sitting together. TOP: Dave and Melanie are cool and concentrated, both in color and countenance. BOTTOM: The Sales team and top-brass on a level playing field. 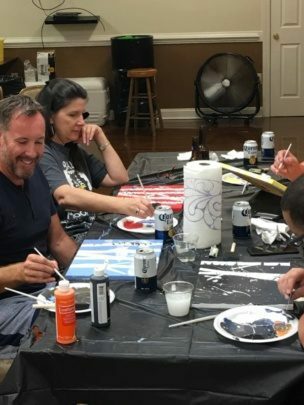 Everyone is looking to create a masterpiece on canvas. Our team shows off their work. Their results are always top-quality, whether for business or pleasure. Encompass Solutions, Inc. is an ERP consulting firm, Epicor Platinum Partner, and Netsuite Solution Provider that offers professional services in business consulting, project management, and software implementation. Whether undertaking full-scale implementation, integration, and renovation of existing systems or addressing the emerging challenges in corporate and operational growth, Encompass provides a specialized approach to every client’s needs. As experts in identifying customer requirements and addressing them with the right solutions, we ensure our clients are equipped to match the pace of Industry.